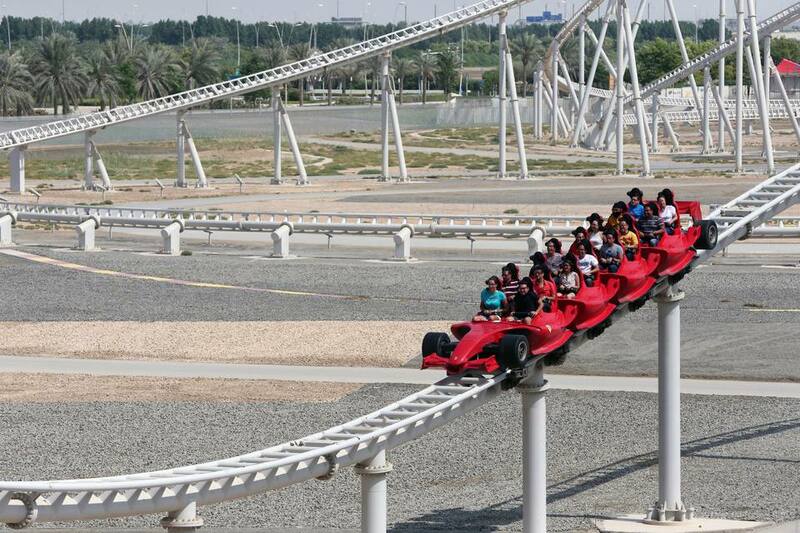 There are not that many indoor theme parks, but Ferrari World, at a whopping 925,000 sq. ft. (over 20 acres), is the world's largest. With Abu Dhabi's average temperatures reaching above 105 degrees F (41 degrees C) in the summer, the climate-controlled park is a welcome refuge for visitors. A hybrid Epcot-type Pavilion/Six Flags-type amusement park/corporate hospitality center, Ferrari World showcases the legendary automaker through sophisticated dark rides and other cutting-edge theme park technology. It also reinforces Ferrari's racing legacy with coasters and other thrill rides. And it acts as an emissary of Italy by offering attractions and exhibits featuring the country's landmarks and culture along with Italian eateries. The park features Formula Rossa, the world's fastest roller coaster. It is designed to travel at speeds up to 240 km/h (149 mph). By comparison, Kingda Ka, the world's second-fastest coaster, reaches a top speed of 128 mph. Formula Rossa was manufactured by Intamin AG of Switzerland. It uses a hydraulic launch system (similar to the launch system used for Kingda Ka) and accelerates from 0 to 100 km (62 miles) in 2 seconds. The coaster climbs 52m (171 feet), and riders experience 1.7 Gs. Formula Rossa starts inside the indoor theme park, accelerates through the dome, travels outside the park, and returns to the loading station inside the building. The train's cars have been made to look like flashy red Formula One Ferraris. Because of the speed and desert sand, riders are issued goggles. Fiorano GT Challenge- A second launched roller coaster that features two tracks and racing trains. The coaster cars resemble Ferrari F340 Spider automobiles. G-Force- A drop-tower ride that soars over 62 m (203 ft.) through the center of the indoor park's domed roof. Scuderia Challenge- Racing car simulators. Speed of Magic- An immersive 4-D film presentation. V12- A dark ride that uses boats to travel through "12 cylinders of wonder." Made in Maranello- A motion simulator ride into Ferrari's factory. Viaggio in Italia- A Soarin'-type hang gliding simulator ride over Italy. Driving with Champions- Interactive 3-D show. The Pit Wall- An interactive experience that gives guests a chance to test their reflexes in racing simulations. The Racing Legends- A dark ride depicting the Ferrari story. Bell’Italia- Scale replicas of Italian landmarks. Paddock- A behind-the-scenes auto racing attraction. Galleria Ferrari - A Ferrari museum with interactive exhibits. Junior GT - Driving school for younger children. Junior Grand Prix- Souped-up go-karts (toned-down race track) experience. Junior Training Camp- A children's play area. The indoor theme park is located on Yas Island in Abu Dhabi, part of the United Arab Emirates. It is approximately 10 minutes from the Abu Dhabi International Airport, 30 minutes from the center of Abu Dhabi, and 50 minutes from Dubai. In addition to Ferrari World, Yas Island offers the Yas Marina Circuit racetrack, which presents the Formula One Abu Dhabi Grand Prix. Future plans also include a Warner Bros. Theme Park, Yas Island Water Park, 20 hotels, a 500-store shopping mall, golf courses, marinas, and other projects. Guests pay a single admission fee to enter the park and experience the attractions. Discounted price for children (under 1.5m/59 inches). A premium admission option, which allows guests front-of-the-line access, is available.